This is a project in Dwight involving the installation and design of a large treatment unit. You can see the pipe running from the unit all the way up to the cottage. 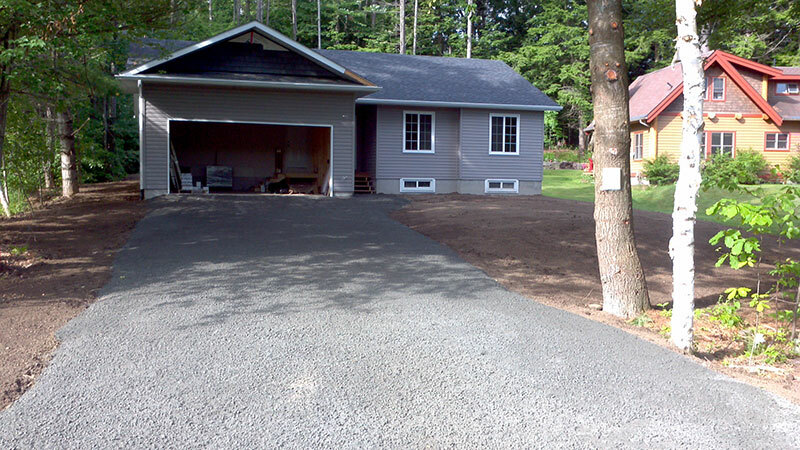 Once Ruppert’s work is done, you wouldn’t even know we were there! 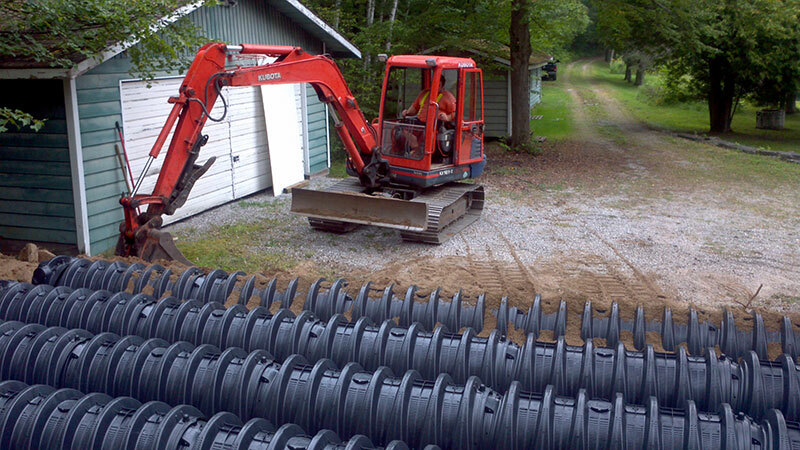 We Specialize in Septic System Design, Installation and Troubleshooting, as well as Driveways, Excavation, and Site Development. 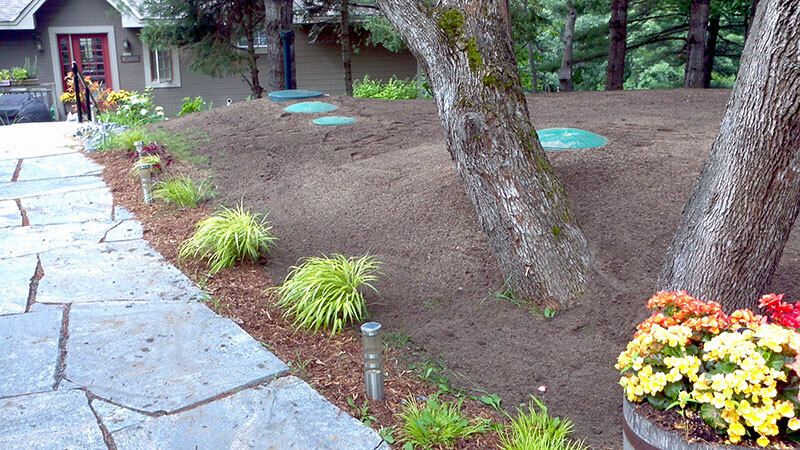 We are now the Certified Muskoka Dealer for the Norweco Singulair Green Wastewater Treatment Tanks. 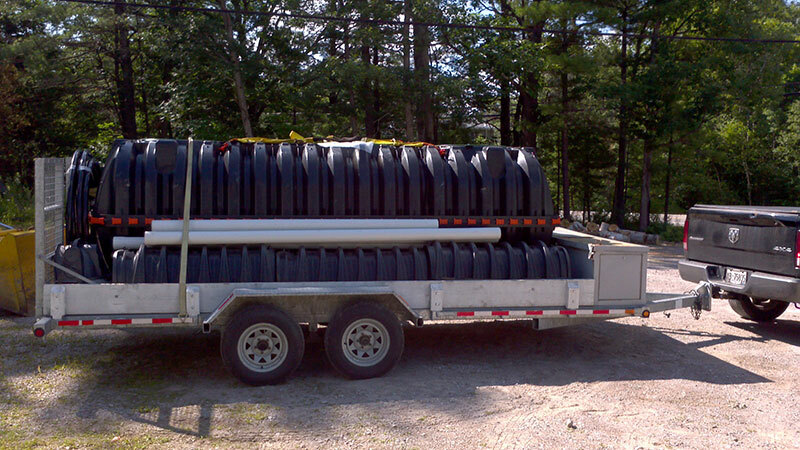 For all your wastewater treatment needs, contact Ruppert Haulage! 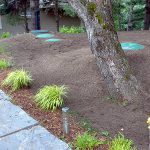 I consider Dave and his team to be experts in their field of septic design and have always appreciated their vast knowledge of different treatment systems available. Dave's ability to solve problems on difficult sites is commendable. 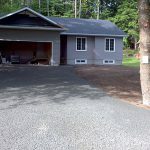 All I can say is we are fortunate to have found this company providing prompt service, excellent advise & professional workmanship along with fair prices. I would highly recommend this company for your next project!! © Copyright 2015. Ruppert Haulage. All Rights Reserved. Made with ♡ by TOP FLOOR WEB DESIGN.